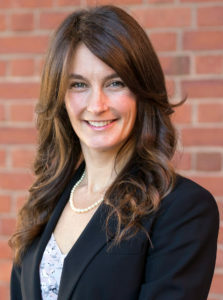 Erica L. Steckler is an Assistant Professor of Management in the Robert J. Manning School of Business (MSB) and Co-Director of the Donahue Center for Business Ethics & Social Responsibility at the University of Massachusetts Lowell. She received her Ph.D. from the Department of Management and Organization at Boston College. Her recent research focuses on stakeholder perceptions of organizational authenticity within the global domains of sustainability and corporate responsibility. Situated at the intersection of organizational theory, strategic management, and social innovation, this work builds on and extends theories of organizational identity, institutional theory, and social change. The recipient of the 2015 Best Dissertation Award by the Academy of Management Social Issues in Management (SIM) Division, her work has been published in the Journal of Business of Ethics, Business and Society Review, Journal of Corporate Citizenship, Humanistic Management Journal, and in edited volumes. She has served as a member of the Editorial Board of the Academy of Management Review (AMR) and is currently a Research Fellow at the W. Michael Hoffman Center for Business Ethics at Bentley University. She is the Founding President of the US Humanistic Management Association (US HMA) and sits on the Advisory Board of the International Humanistic Management Association (IHMA).